For many of Southwest Washington’s local manufacturers, 2012 has been a year of slow recovery, following losses sustained during the height of the economic crisis. And while manufacturing jobs have yet to reach pre-2008 levels, new data shows measurable improvement in certain sectors. According to early data from a study being undertaken by the Southwest Washington Development Council (SWWDC) as part of the Columbia-Willamette Workforce Collaborative, the Portland MSA lost approximately 12 percent of all manufacturing jobs since 2006, and 6 percent of manufacturing businesses. However, data shows Clark County fared better than any of its neighboring counties in terms of maintaining manufacturing establishments. Specific economic sectors have fared much better than others, with chemical, food and fabricated metals manufacturers faring the best. Wood and paper products have performed the worst, with more than 30 percent job losses since 2006, according to the SWWDC study. Byrd said the company took immediate action, and has been able to regain the lost revenue. “The market has come back, but we did an immediate cost-reduction plan to cut our expenses,” he said. “That’s the only way we survived. For several local manufacturers, efficiency has been essential to success during the past several years. Cadet Manufacturing produces electric heaters exclusively at its production facility in Vancouver. Director of Operations Frank Twardoch said that competition from China forced the company to innovate early. Cadet Manufacturing also benefitted from Washington Employment Department’s Shared-Work program. The program allows employers to reduce employee hours, with workers able to collect partial unemployment benefits to replace wages. The Shared-Work program helps companies reduce costs and retain trained staff. Meanwhile, the state avoids paying full benefits to laid-off workers. 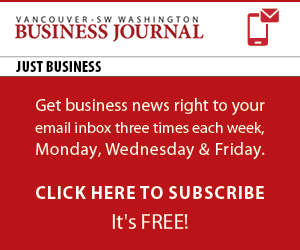 Washington employers facing a temporary decline in business can utilize the program for up to a year. As a result of lean initiatives and the Shared-Work program, Twardoch said Cadet Manufacturing is well positioned for the future. Fortunately for the region, computer and electronics producers account for three times as many jobs as any other manufacturing sector. Technology-oriented manufacturers saw a much more modest downturn, with sector job losses around 7 percent since 2006. Some individual technology manufacturers are now thriving, such as Vancouver’s nLight Corporation, a producer of high-powered semiconductor lasers to the industrial and defense sectors. The company was recently named to Inc. 5000 list of the fastest growing private companies in the U.S.
“The area has a good talent pool that really understands the technology and the basic manufacturing processes,” he noted. Norgaard said that nLight is readily able to find skilled workers locally. For other local manufacturers, training issues can present challenges. According to the SWWDC study, manufacturing jobs increasingly require higher skill levels. Meanwhile, many local manufacturers have a growing number of skilled workers near retirement age. Looking ahead, the SWWDC suggests that manufacturers focus on key skills, ensure that succession planning is taking place and implement effective incumbent worker training programs. Twardoch sees his company facing some of these same issues. “Some of the ways we’re talking about addressing it, either we may start an on-site apprenticeship program, or we’re talking about partnering with local educational institutions,” he said. “Our activity, and the demand for training, has increased significantly over the last months,” she said. Giovannozzi explained that corporate training helps manufacturers run leaner, increase efficiencies and develop cross-functional employees. “We’ve really become the go-to provider of workforce development services in the area, because we’re the only community college that provides corporate training,” she added. Public-private partnerships, such as educational institutions, development councils and the state government, are providing manufacturers with opportunities to build capacity and a more skilled workforce. Meanwhile, the economic crisis is forcing some companies toward greater efficiencies, leading to greater global competiveness.